Inspired by effortlessly chic french girl style, Tecni.ART brings you Messy Cliché. Designed for fine hair, this styling spray provides messy texture on lengths and ends. Create the tousled look of a sleepless night in Paris: devolumised roots, textured lengths with natural shine. Use on 90% dry hair, scrunching or twisting sections as you complete your blow dry. To get the look quicker, braid the hair in several sections and dry off or run straighteners over the plait. 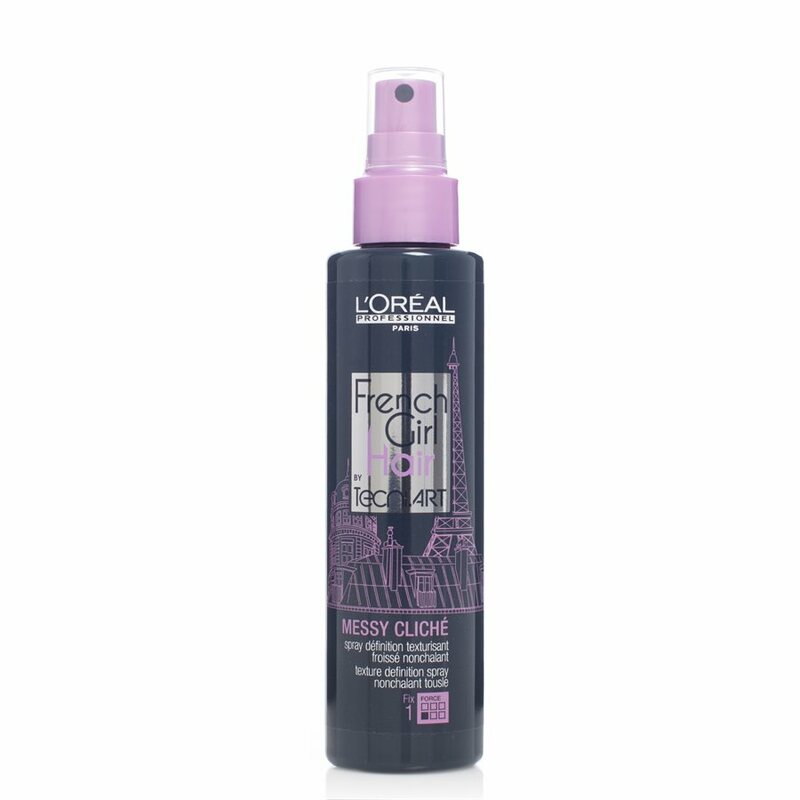 Buy L’Oréal Professionnel Tecni.ART French Girl Messy Cliche 150ml on-line today at Riah Hair.